Ryan Palmer making his mark in England! 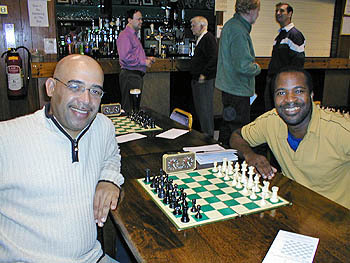 Ryan Palmer of Jamaica has made a presence in England as a member of the Newport Chess Club. 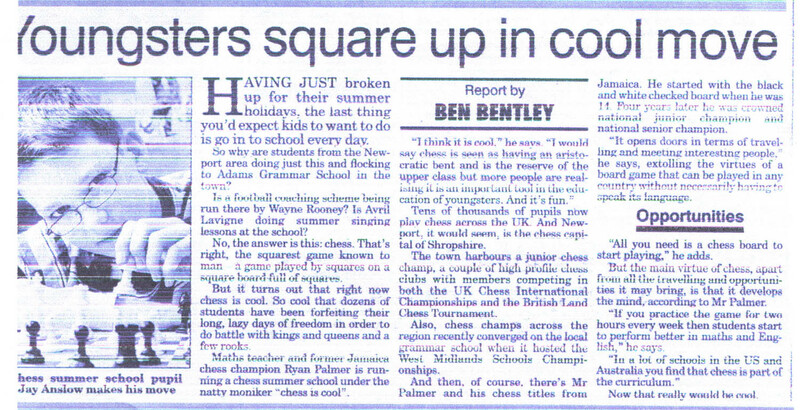 He has been playing on the Newport B Team in the Counties Chess Championships. John Tobisch states that Palmer has graced the pages of the Shropshire Star. The former Jamaican champion organized a summer training camp which was met with great success. The camp was held at the Adam's Grammar School in Newport Stafford and was held with 25 eager chess students is a great success. Palmer along with Tobisch hope to establish a niche in England as chess trainers.